Frozen berries and cherries are perfect for this recipe. Thaw the fruit in the refrigerator overnight (in a bowl to collect the juices) and proceed with the recipe exactly as written. Canned sour cherries are generally found in the canned fruit section at your grocery store. As they’re not generally a big seller — though they should be — they’re usually on the top or bottom shelf. Tip: To avoid watering down the final product with ice cubes, make a punch cube: before adding the seltzer and lime juice, pour about 1 ½ cups of the punch into a round plastic bowl or food storage container. Add a few fresh berries into the container and freeze until solid. Use your punch cube to keep everything nice and cold during service. In a medium pot, combine the raspberries, blueberries, blackberries, and the sour cherries, including the liquid they’re packed with; if you’re using frozen fruit, be sure to add all of the liquid released during thawing to the pan. Place the pan over medium heat, bring to a low simmer, and reduce the heat to keep the fruit just barely simmering. Cover the pan with a lid and cook for 15 minutes or until everything is soft. While still warm, pour the fruit and juices into a fine mesh strainer, pressing the berries with a spoon but not pushing the pulp through the mesh. Set the bowl aside to cool, leaving the strainer atop it to collect any last drips of juice. You’ll end up with somewhere between 1 and 2 cups of juice; this juice can be refrigerated for up to three days or frozen for a month. To serve, combine the berry juice, the bottled juice and the lime juice in a large punch bowl and stir. Just before service, add ice and pour in the seltzer. 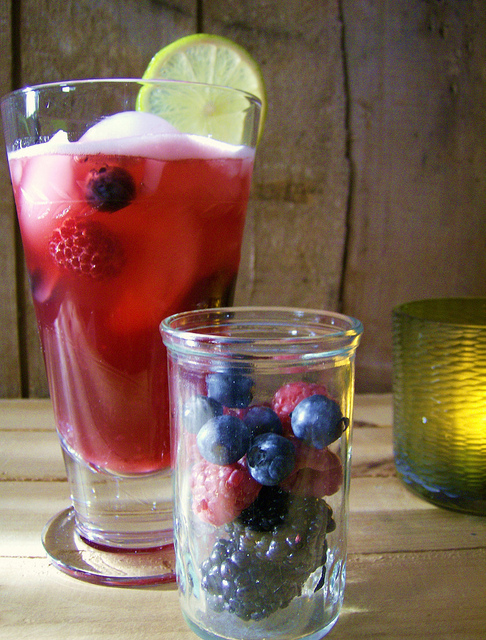 If desired, serve the punch with a bowl of fresh berries that your guests can add to their serving. Decadent browned butter sauce is an optional topping for this hearty, wholesome soup from Guiding Stars that puts you wintered over pumpkins to excellent use. Serve with a generous salad of leafy greens for a meal balanced in texture and temperature. 1. Warm olive oil over medium-high heat. Add leeks and onion and cook until softened. Add stock and maple syrup and bring to a simmer. 2. Add roasted pumpkin, bay leaves and whole thyme to the pot. Let simmer for 15-30 minutes then remove leave and stems. Puree soup until completely smooth. 3. (Optional) Heat butter in a small skillet over medium heat until butter is browned and nutty. Remove from heat and add thyme leaves. Add lemon juice and drizzle over individual portions of soup. 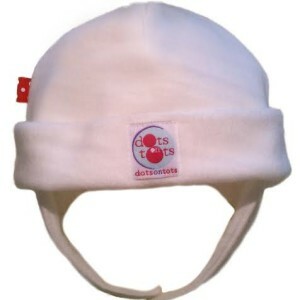 The holidays are here, and it is time for “Mom” to reveal her top eco-friendly gifts for babies and toddlers! 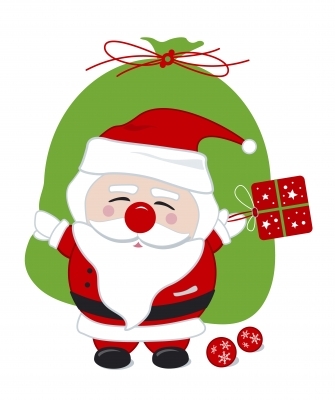 The five items below will delight and surprise both parents and children this season! Vegan, gluten-free, and utterly delicious, this recipe is a prefect addition to your celebration recipes—all of your guests are sure to gobble it up with relish. For easier preparation, feel free to replace the squash with canned pumpkin puree. 1. Cook the rice according to package directions. 2. Spread squash on a baking sheet and toss with oil, herbs and spices. Roast in a 400 Degree Fahrenheit oven until soft. 3. 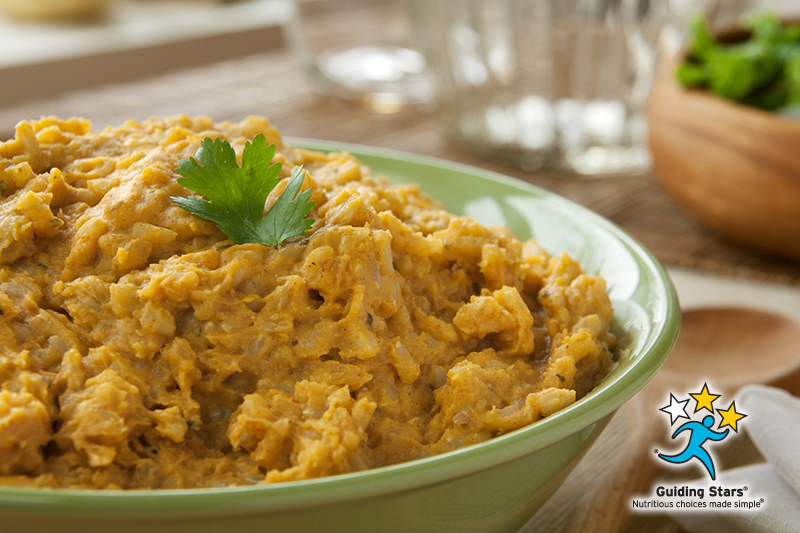 Puree most of the squash a splash of water, nutritional yeast, vinegar, salt and lemon. Blend until creamy. 4. When the rice is almost cooked, stir in the squash sauce and the reserved roasted squash. Garnish with additional coriander leaves and serve warm. · Eat Walnuts: Eat a handful before your meal. 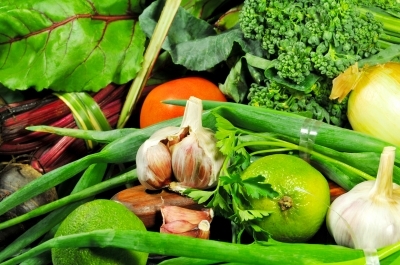 They will help fill you up, and the antioxidants can improve your artery function and reduce inflammation. · Limit yourself to two alcoholic drinks: Alcohol removes your inhibitions, so if you drink before you eat, you’re going to overeat. · Sit down and chew your food: You will enjoy your food more if you chew it slowly. • Beware of foods loaded with butter and cheese: Steamed broccoli is healthy and low in fat, but when smothered in cheese and butter, it can pack an additional 215 calories and 16 grams of fat in just one cup! • Watch out for salads: Leafy greens and salads seem like a healthy choice, but when loaded with high-fat, high-cholesterol cheeses and dressing, such as a Cobb salad, these verdant concoctions contain more than 1,000 calories and 71 grams of fat! • Avoid saturated fats and fried foods: These are guaranteed to heavily increase the calorie count. Opt for baked options, rather than fried and reach for lean meats such as white turkey. · Wear a watch: Keeping track of time and eating slower will help you notice when you’re getting full. Wait a couple minutes before returning for seconds – this will give your body the chance to digest food intake. · Drink Water: This may seem like a no-brainer, but drinking a glass of water before a meal can help you eat 20% few calories. If you feel bloated, have a glass of peppermint tea instead, which helps prevent the feeling of being extremely full. · Incorporate papaya and pineapple: These super foods have digestive enzymes that assist with digestion and help you feel less full after a large meal. Featuring real doctors discussing topical health and wellness issues in an entertaining and engaging fashion, season six of THE DOCTORS launched September 9, 2013. The Emmy® Award-winning one-hour, daytime syndicated talk show continues to be hosted by physicians who are among the best in their respective field, including ER physician Dr. Travis Stork, plastic surgeon and reconstructive surgery expert Dr. Andrew Ordon and pediatrician Dr. James Sears; and recurring co-hosts, OB/GYN Dr. Jennifer Ashton, urologist Dr. Jennifer Berman, family doctor and sexologist Dr. Rachael Ross and physical medicine and rehabilitation specialist Dr. Ian Smith. THE DOCTORS sets itself apart from the competition through its wealth of experts – each of the co-hosts brings a specialized and unique background to the show including decades of experience, in order to provide viewers with well-rounded and easily understood prescriptions for health and wellness. Cranberries and pears are simple ingredients, yet ideal for elevating a festive dessert full of fall flavors. 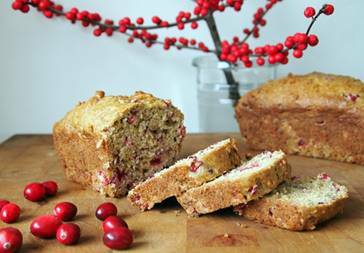 This moist loaf will be bursting with fruity goodness, so get ready to roll up your sleeves and get your bake on! 2. Put oats and milk in a bowl. If you’re using dried pears, put them in the bowl to soak and plump up before baking. 3. Stir remaining ingredients into the soaked oat mixture. Mix together well and spoon the mixture into a WearEver Pure Living Loaf Pan. 4. Bake for 45 minutes, until the top is golden and toothpick comes out clean. Cool for 5 minutes and then turn out onto a wire rack to cool completely. Fall and winter weather always stirs up memories of freshly made sups simmering on the stove, ready to be enjoyed with a loaf of crusty whole wheat bread! 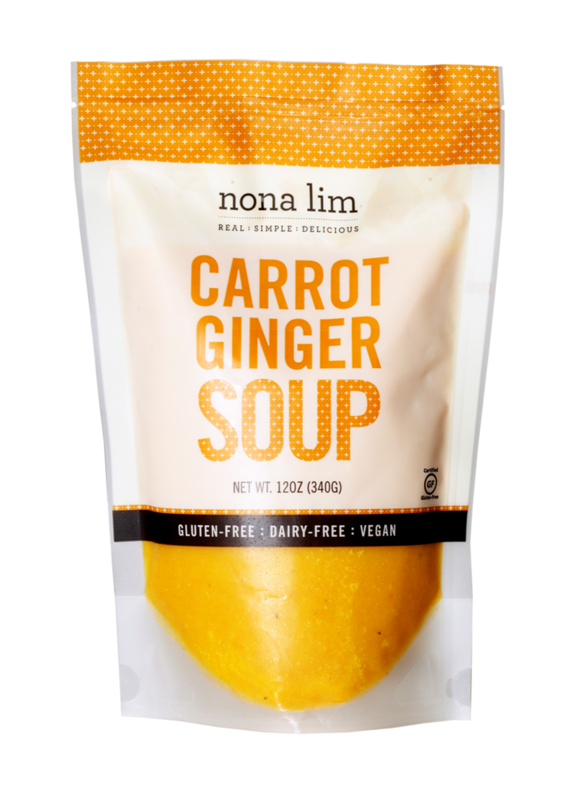 For those who are time-crunched through the holiday season, or want to have something delicious, nutritious and simple on hand on days when they don’t feel like cooking, Nona Lim has created soups that are certified gluten-free, dairy free and vegan and never contain additives or preservatives. 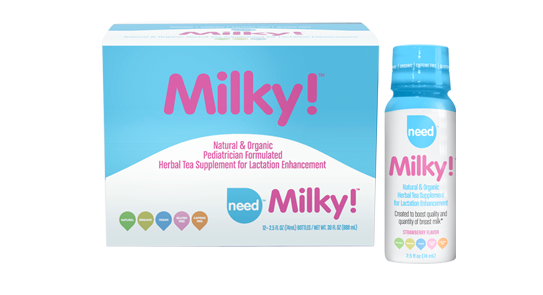 Available in 8 tasty and distinct flavors, each soup is packaed into handy BPA free pouches, ready to snip, heat and serve. 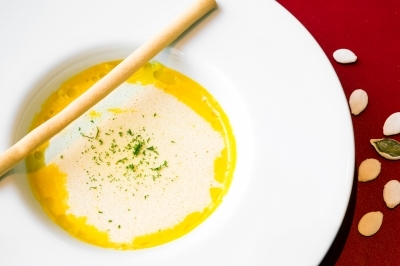 From Carrot Ginger Soup to Thai Green Curry to a classic Tomato Soup, there is a soup to tantalize everyone’s tastes! “Mom” is loving the Red Lentil Veggie Soup and the Carrot Ginger Soup this Fall. Perfect for a light dinner, the soups are satisfying and warm the tummy! Nona Lim starts with a commitment to the best ingredients. 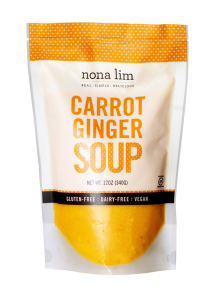 The company sources up to ninety percent of its fresh vegetables from local California farms and one to two pounds of these fresh veggies are cooked down into every 12 ounce pouch of Nona Lim soup. Nona Lim also gets all its organic zucchinis from Alhambra Valley Ranch Farm just outside of San Francisco. All of these vegetables have been harvested only days before they hit the soup pots guaranteeing superior flavor and texture. In addition, Nona Lim uses a blast-freeze process to preserve crispness and flavor. While frozen, Nona Lim soups are good for many months. Soups are delivered to grocery stores around the country and sold in the refrigerated section. Nona Lim also sells its soups online to consumers, where they are packed in cooler boxes with gel ice packs and shipped via UPS. While it may seem like a lot of effort to deliver soups cold, it allows the company to forgo preservatives that would introduce an off taste requiring additional salt and sugar to cover up. 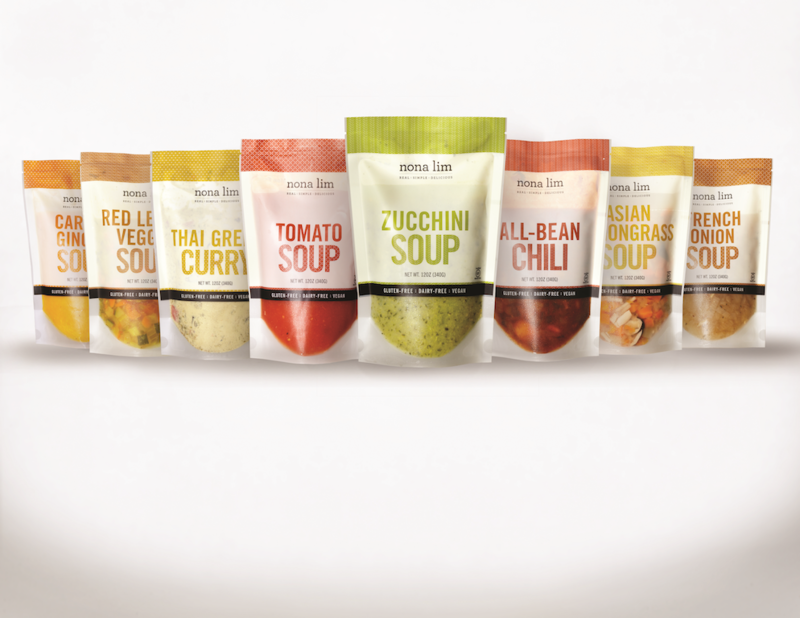 By ensuring cold delivery, Nona Lim is revolutionizing ready-to-heat soups with superior health and taste. 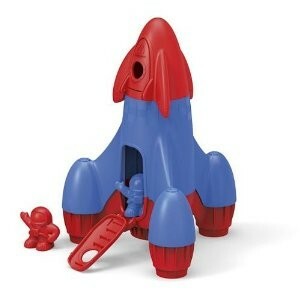 To locate a store near you, or to order online, visit www.nonalim.com. As a parent, you may be more concerned than ever about the future of our planet. While your time on Earth is finite, and you likely won’t live to see the worst of global warming, deforestation, and holes in the ozone layer, your children, grandchildren, and generations of your family yet to come will have to live with the consequences of your actions where the environment is concerned. For this reason you may have embraced a sense of environmental responsibility and started to make lifestyle choices that are more sustainable and produce far less waste and pollution. And your efforts could range from conserving energy and water at home to driving an electric car to purchasing organic food. 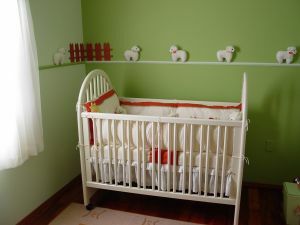 Of course, you’ll also want to do your part when it comes to designing bedrooms for your little bundles of joy, so here are just a few essential areas to consider when it comes to decorating your children’s bedrooms in an eco-friendly manner. Non-VOC paint. In case you didn’t know, volatile organic compounds (VOCs) are often found in paint, stain, lacquer, and a number of other products related to home decor. And the reason you should be aware of this is that these harmful toxins can linger long after the odor has dissipated, polluting your interior air for years and causing all kinds of health issues, including respiratory disorders, headache, and nausea. VOCs have even been linked to some cancers and neurological disorders. The point is that nobody in your family should be exposed to them. And you can avoid them by seeking out products that eschew these potentially harmful compounds. Reclaimed materials. Whether you’re installing wooden flooring, cabinets, shelving, or furniture, you should know that there are reclaimed options out there to meet almost every decorating need. 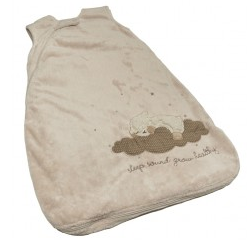 These items are not only recycled, but they have often been refurbished. This means that they appear like new, they’ll cost you a fraction of what retail products might, and they won’t require you to participate in further deforestation in order to have the warm look of wood in your children’s bedrooms. Organic linens. 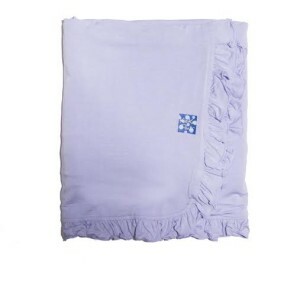 You might be surprised by the vast number of ways in which organic textiles are utilized. You’re probably aware that you can buy organic clothing for kids in order to avoid the chemicals that penetrate most plant fibers. But you can also find options for carpeting, drapes, bedding, and even mattresses. If you want to protect your sensitive and vulnerable tots from potential skin and respiratory allergies, going all organic with linens is a step in the right direction. Second-hand furniture. If you’re not keen to pay top dollar for eco-friendly furniture, consider that used pieces can not only save you some money, but they also give you the opportunity to do some good for the environment. You’ll stop the linear production cycle that sends products from manufacturer to consumer to landfill by giving these furnishings a second life. And you won’t support further manufacturing and all the pollution and waste it entails. Yard sale finds. Once you’ve got the basics of decor down, it’s time to fill your children’s bedrooms with items that will add some personality, and you can really go the extra mile with yard sale finds. A crib or play yard purchased at a yard sale can be updated with new padding and linens and a cool and kitschy lamp can be outfitted with an energy-saving CFL bulb. You can also find neat, old books and toys. Although some pieces may need a little TLC, simply keeping items out of the landfill is a great way to decorate children’s rooms in an eco-friendly fashion. These muffins make a satisfying on-the-go, portable breakfast or delicious after school snack! Packed with nutritious ingredients, this is your stuff-your-face, feel-good and guilt-free dessert that can be devoured anytime of the day! “Mom” has just been introduced to Camelina Oil, a new oil that is high in Omega-3 fatty acids that has been touted as the new flaxseed oil, but is heat stable so can be used while cooking and baking. Preheat oven to 350ºF (180ºC). Line a standard sized muffin tin with paper liners and set aside. In a small bowl stir together oats, ginger and maple syrup until well combined. Set aside. Into a medium sized bowl sift together flour, ground flax, baking powder, baking soda, salt and cardamom. In a separate large bowl, whisk together coconut sugar, ricotta cheese, Veg-licious Camelina Oil, eggs, vanilla and orange zest. Add flour mixture and stir with a fork until just combined. Stir in diced plums and divide batter evenly among muffin cups. 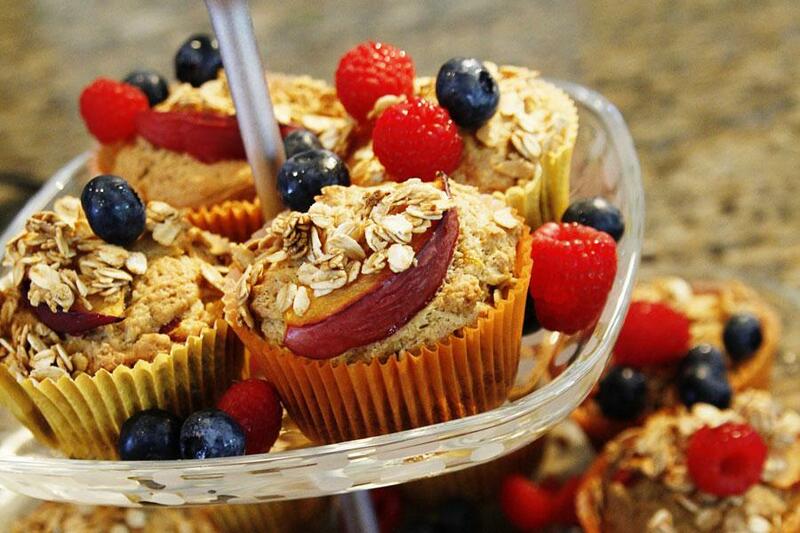 Arrange 2 or 3 slices of plum on top of each muffin and sprinkle generously with oat topping. Bake muffins until tops are golden brown and a wooden skewer inserted in the center of a muffin comes out clean, about 35 to 40 minutes. Allow muffins to cool for 10 minutes before removing from tin and placing on a wire rack to cool completely. While best eaten the same day they are made, muffins can be stored in an airtight container in the refrigerator for up to 3 days.